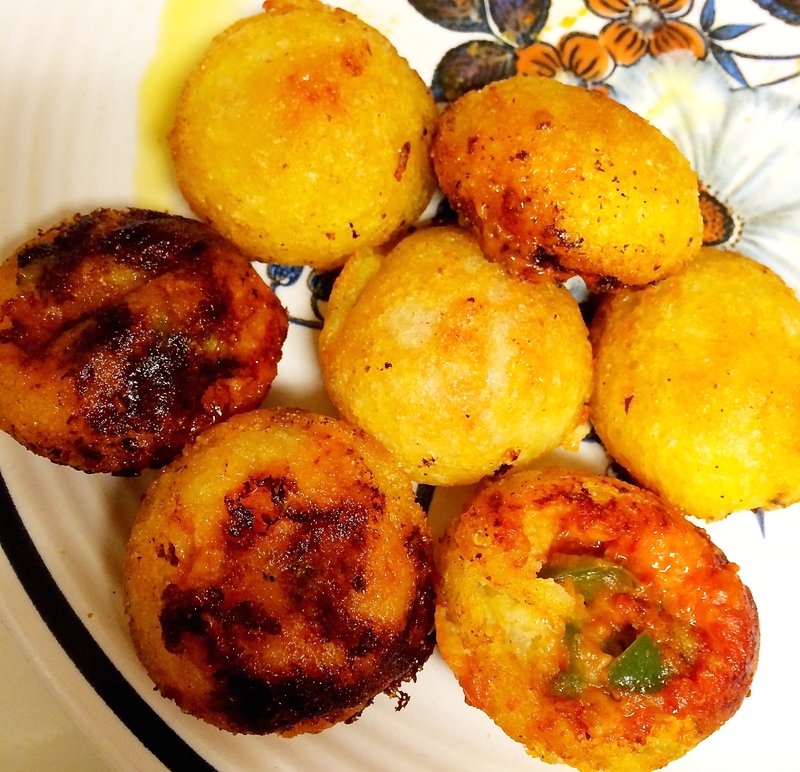 Cheesy Pizza Dosa Bites – One Half Indian. As a kid (and shamefully also as an adult), I loved Bagel Bites- tiny pizza bites that are delicious and glutinous and horrible for you. I swore off bagel bites several years ago as I was no longer a starving undergrad and was a bit more health conscious. 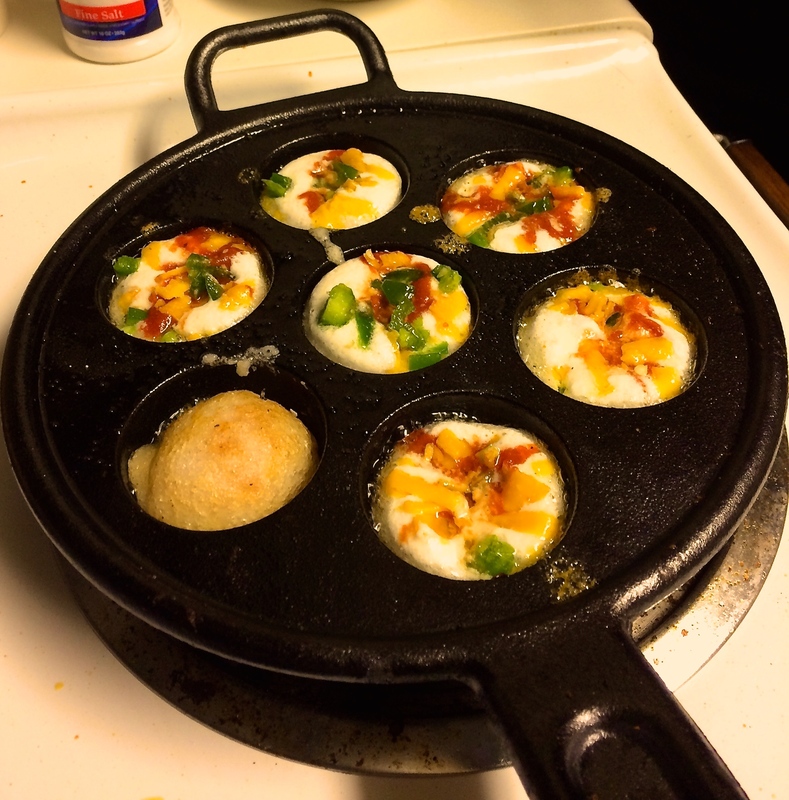 But recently at my sister-in-law’s, I was reminded of the sweet cheesy bliss that is bagel bites when she made dosa balls in an ebelskiver pan for her son. Dosa batter is a perfect substitute for bread in pizza with it’s fermented taste and airy texture. It really compliments the sauce and cheese. You don’t have to use strictly “dosa” batter; you could use the idli-dosa or multi-grain dosa batter. Any variety works well. I did not own an ebelskiver pan, but I bought one so I could make these (I’m greedy and want every fun kitchen tool that can be had). Hopefully I will find more uses for the ebelskiver (such as making the danish pancakes the pan was made for). We already made the pizza dosas three times this past week, so I guess if the pan is only used for this, we will still get our money’s worth out of it. 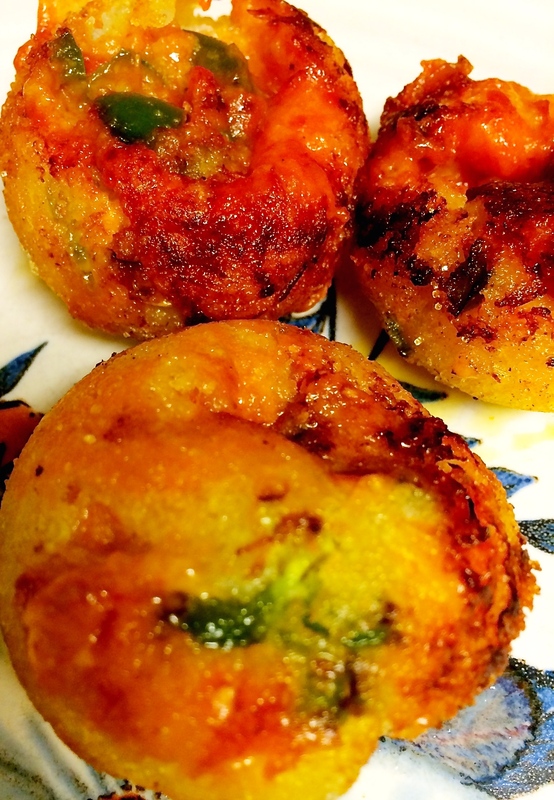 Thanks for the perfect Indian-American fusion recipe, Didi! 1. Prepare all ingredients ahead. Chop mix-ins very finely, shred cheese, have dosa and oil at ready. 2. Heat ebelskiver skillet over medium heat. When pan is hot, place a tiny bit of oil in each round (1/2 tsp or less). 4. Let the batter cook until crispy on the bottom and pulling away from the pan (about 2-3 minutes). Put a few drops of oil on top of the batter. 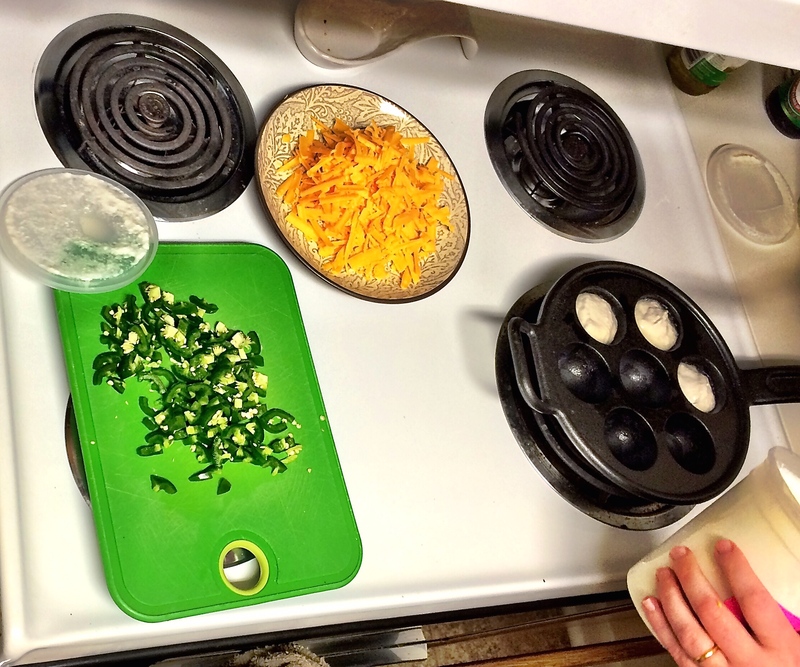 Using your knife or chopstick or ebelskiver flipping tool, flip the dosa balls over. Let these cook until the other side of the ball is crispy and golden brown (another 2-3 minutes). 5. Pull the balls out of the pan and let cool. Try not to eat them all at once.